Happy Friday everyone! In case you missed it, yesterday I shared a soft and feminine makeup look that typically is my go-to during the week. Today’s look is bold and glamorous, not one I wear everyday, but perfect for a night out, a special event or anytime I’m wearing a red lip! With this look, I like to use the NARS Sheer Glow Foundation. I love this formula because it gives a little more coverage than a tinted moisturizer, but still doesn’t feel cakey. It’s soft and lightweight, almost blurring out any imperfections rather than masking them. The formula also has a slight sheen to it, which hydrates your face but doesn’t make it look or feel shiny. Below is a list of all the products I used to get this look. Let me know if you have any questions about any of the products used, or any application questions. *Tip: Most women steer clear of lip pencils, but to get a perfect line for a red lip, using a red liner is key! It’s the only way I can get a flawless line on my lip, otherwise it gets super uneven and bleeds over from my lips onto my skin. Special thanks to Nordstrom for sponsoring this post. Flawless make up! You look so beautiful! I love a bold, red lip! Looks great! That red lip looks FABULOUS on you! Thanks for all the beauty tips! Looking forward to adapting some to my beauty routine! Happy weekend! Gorgeous, more bold look! Love all the products you used! 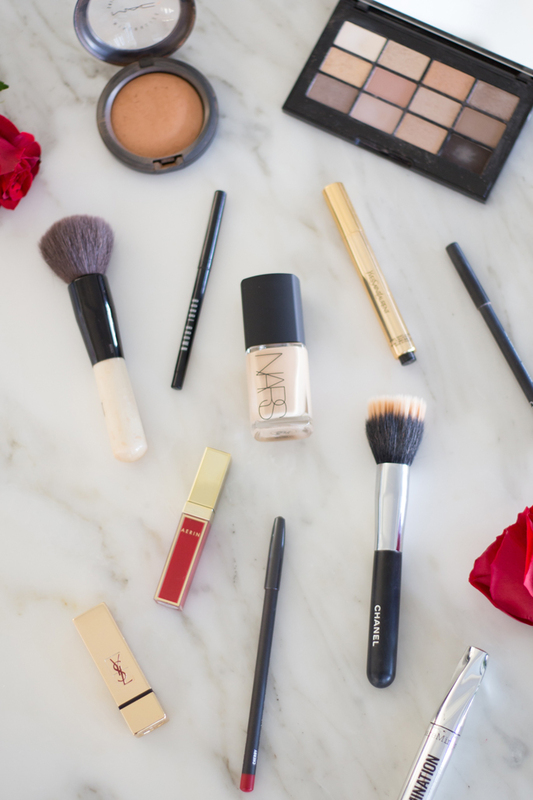 I love nars, they have such amazing makeup! You look gorgeous. Adore this glamorous look on you. That red lip is perfect! I never line my lip for lipstick, need to start doing that! I love this glamorous look! A red lip is so classic and chic! I couldn’t agree more about your tip about using lip liners!! It makes so much of a difference to enhance the look and the wear of a lipstick. Love these make up posts!! Make up is such a passion of mine! You’re gorgeous! Love your makeup! Loving this series! Have a great weekend! Love the makeup!! 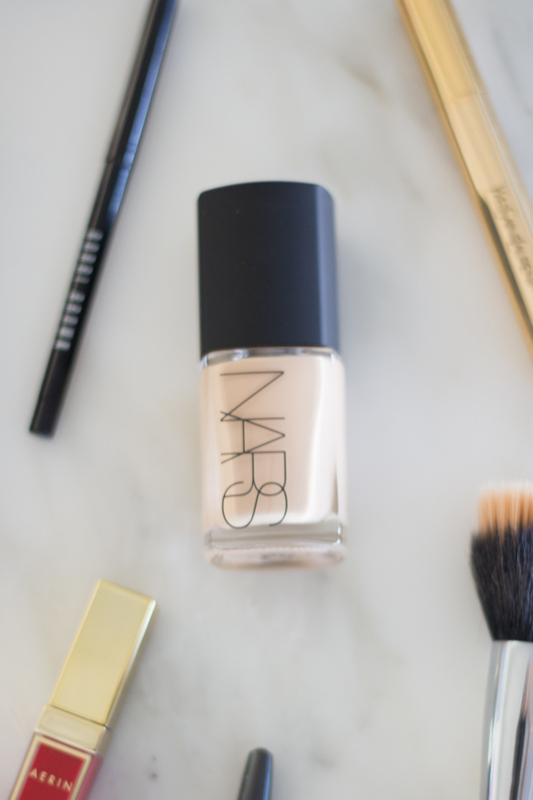 Nars is my favorite. I need to invest in a lip pencil. I wear red lips often. Thanks for the recommendation! but really missing your outfit posts! LOVE this look with the red lip! Thanks for the lipliner tip. I’m a sucker for red, but it ALWAYS bleeds, like you said. I will have to get on purchasing one of those. Have a great weekend! 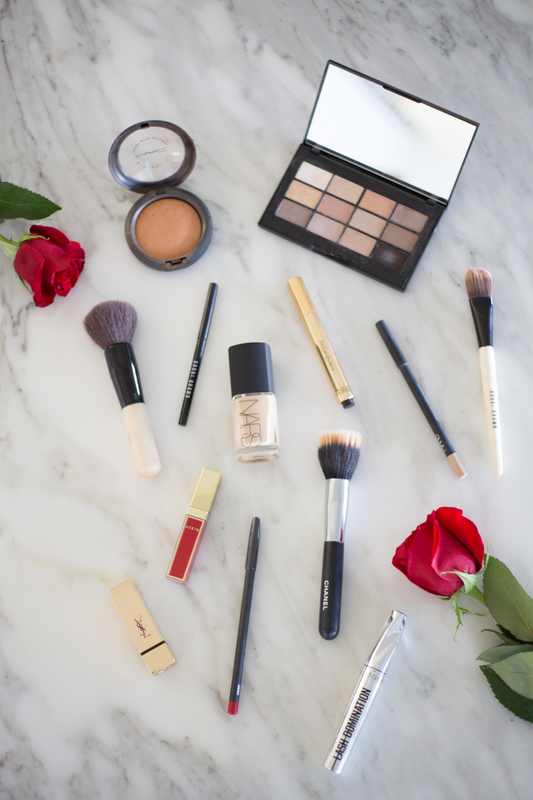 Love your makeup! You look gorgeous, you can’t go wrong. I think I need to try this foundation, I need a little more coverage and this looks perfect! Love the red lips too, gorg! 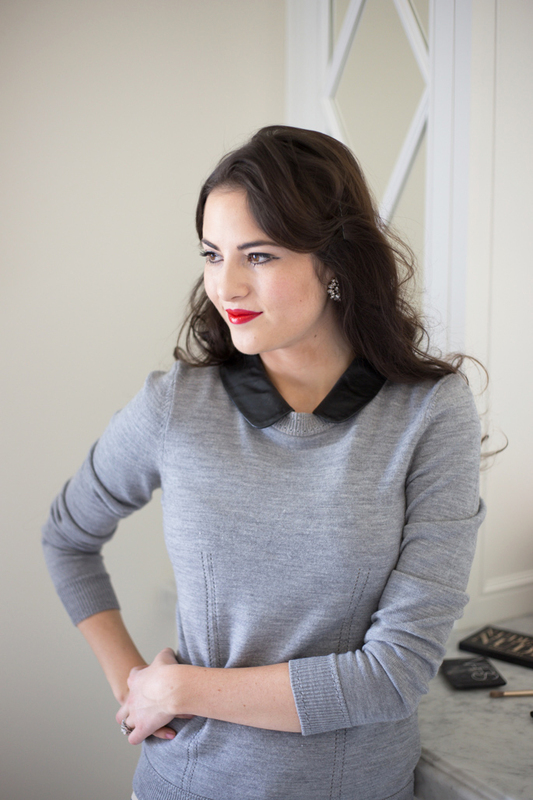 Is there anything more perfect and transforming than a bright red lip! i love your sweater! where is it from? Hi Rach! Love your outfits! As a fan of hats, I’ve been trying to find a burgundy wool version for Winter/Fall. Just wanted to let you know that I have nominated you the One Lovely Blog Award! I love the lipstick holder! Where did you source that? Thanks!! You look Chinese? Are you?